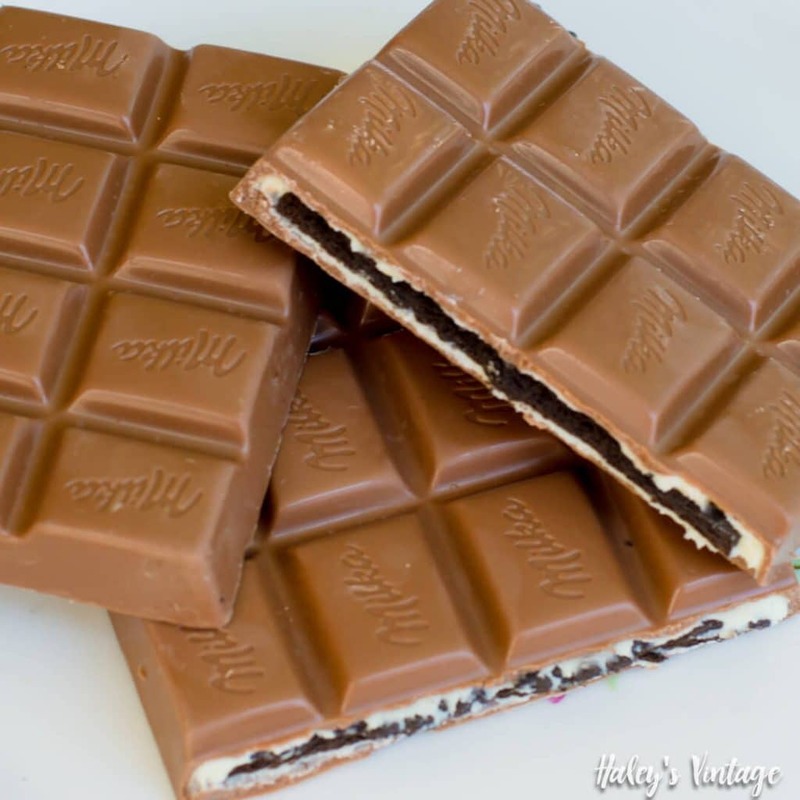 You are here: Home / Kids / Spoil Yourself with a Delightful MILKA OREO Chocolate Candy + Giveaway! This post is sponsored by OREO but the content and opinions will always be my own. As parents, we work hard! Between homework, laundry, and cleaning we rarely ever get a break! But how can you take a few minutes to spoil yourself? 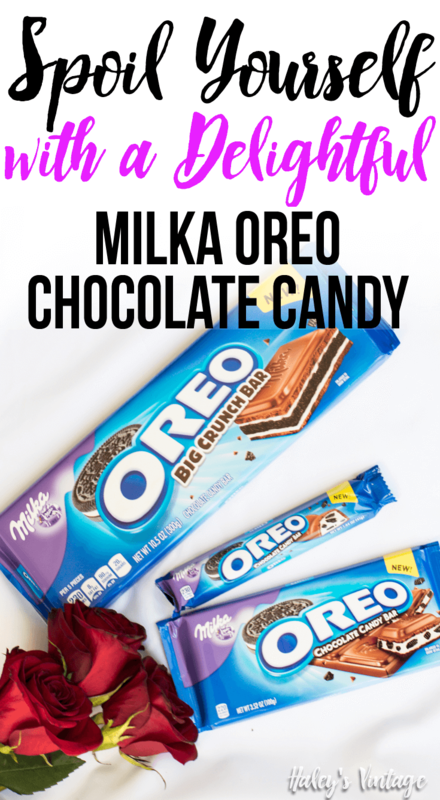 Let me share with you about my new favorite late night snack of MILKA OREO Chocolate Candy that I’m sure you will be just addicted too. I am a HUGE chocolate lover! 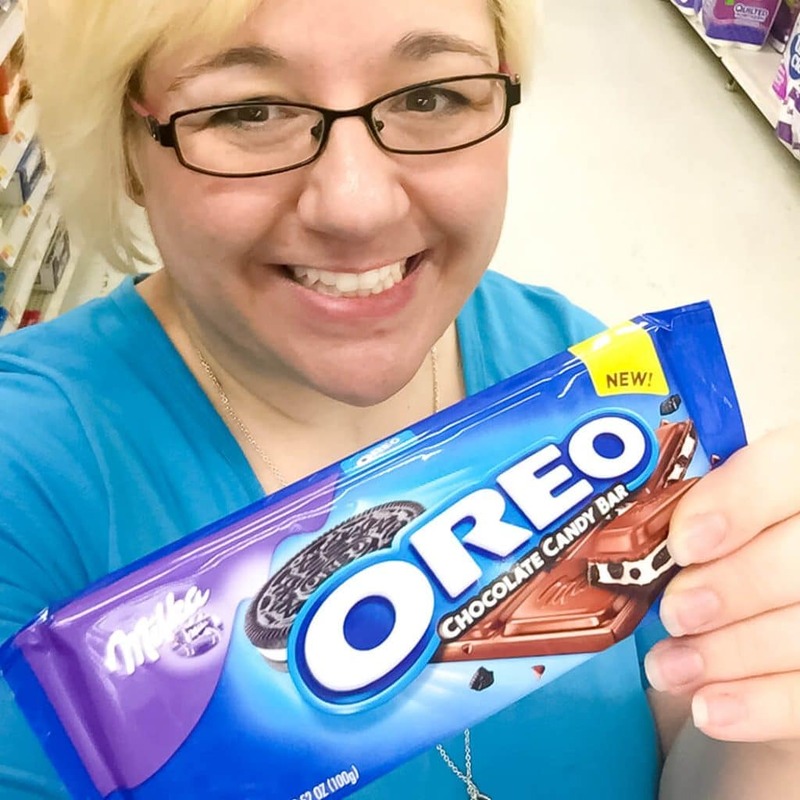 And, when I saw that OREO has a new chocolate candy I just had to pick up some to try! 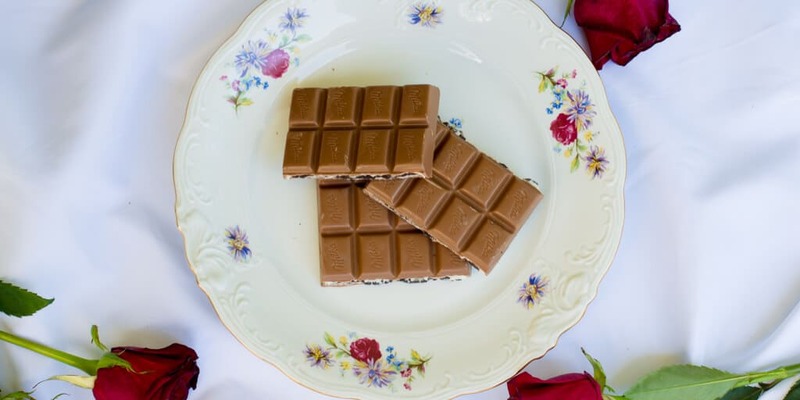 This chocolate candy is not your typical candy bar but instead is more like a velvety European chocolate candy! I love how you get a little bit crunch all with all the smooth chocolate. YUM! 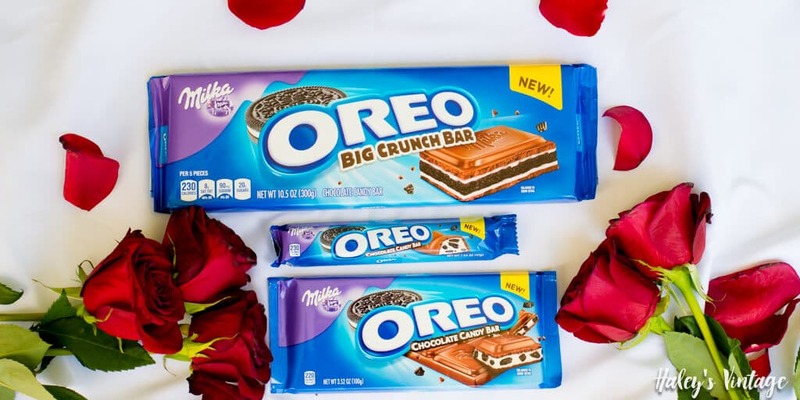 If you like your chocolate with a little more crunch, you should try MILKA OREO Big Crunch Chocolate Candy Bar. It has a layer of crunchy OREO cookies between 2 layers of (rich) (vanilla) creme filling, coated in European MILKA chocolate candy! For sharing with my kids, I like the MILKA OREO Choco-Mix. It is a perfect combination of OREO Mini chocolate sandwich cookies, Golden OREO mini sandwich cookies, MILKA Chocolate Candy buttons, and candy-covered chocolate mixed together that has a little something for everyone in it! Each of kids can pick their favorites out that way. Plus, they are very reasonably priced at your local Walmart especially if you pair it with this rebate from Ibotta! You will earn 50¢ for up to three MILKA OREO Chocolate Candy bars and $1 for one MILKA OREO Choco-Mix. SCORE! From 5/18 – 5/21 go to your local Walmart for a live demonstration! 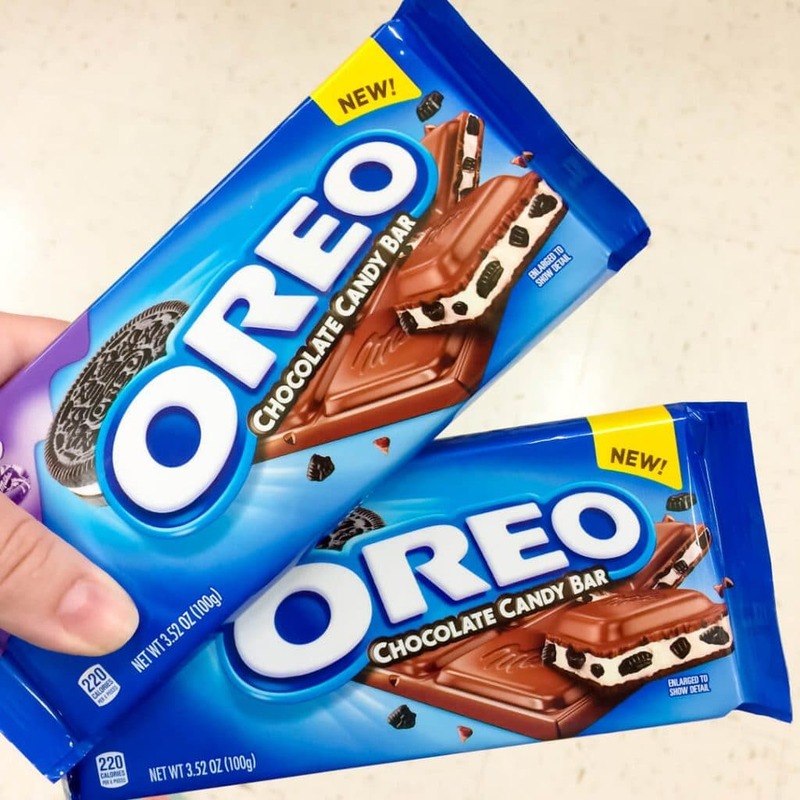 They will be handing out samples and extra coupons that you can add with you Ibotta rebates to really save big on some MILKA OREO Chocolate Candy bars. Check out my Facebook Live video of my in store demo now! 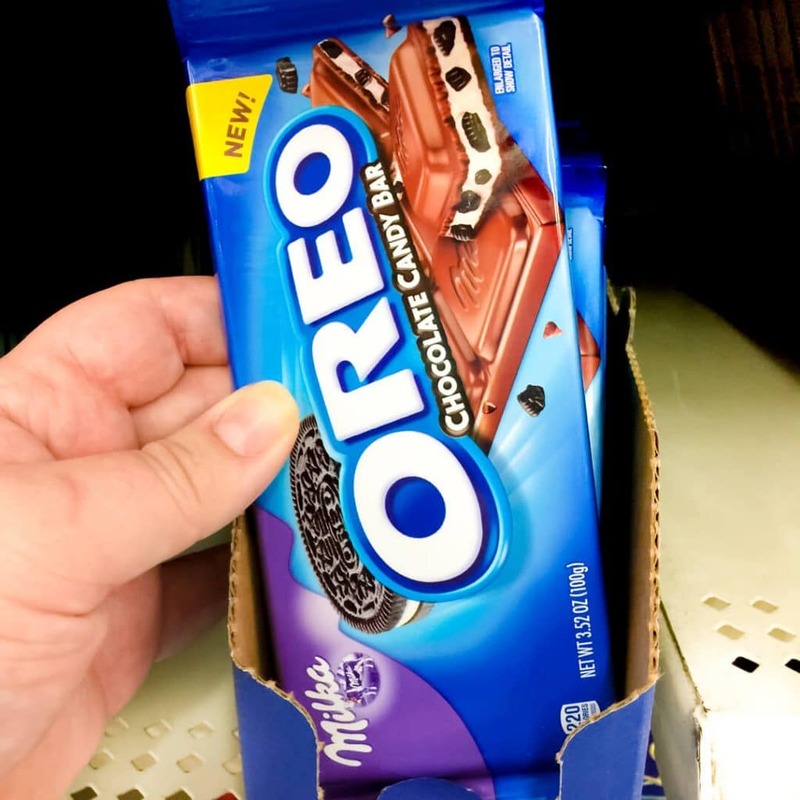 MILKA OREO Chocolate Candy bars come in several ways, so you quickly find the perfect size for you! I love to get them at Walmart because the price is fantastic, and they print a QR code on your receipt to make redeeming your Ibotta rebates easy peasy! 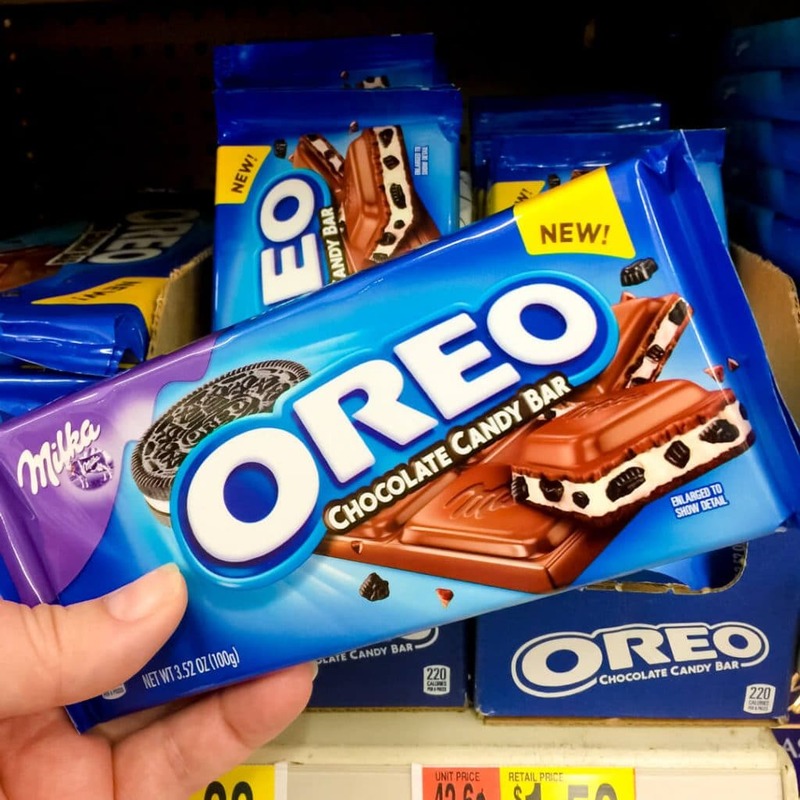 MILKA OREO Chocolate Candy Bar 1.44oz (shown in the top left of the picture above) and King Size 2.88oz (not pictured) is often found at the front of the store near where you check out at. 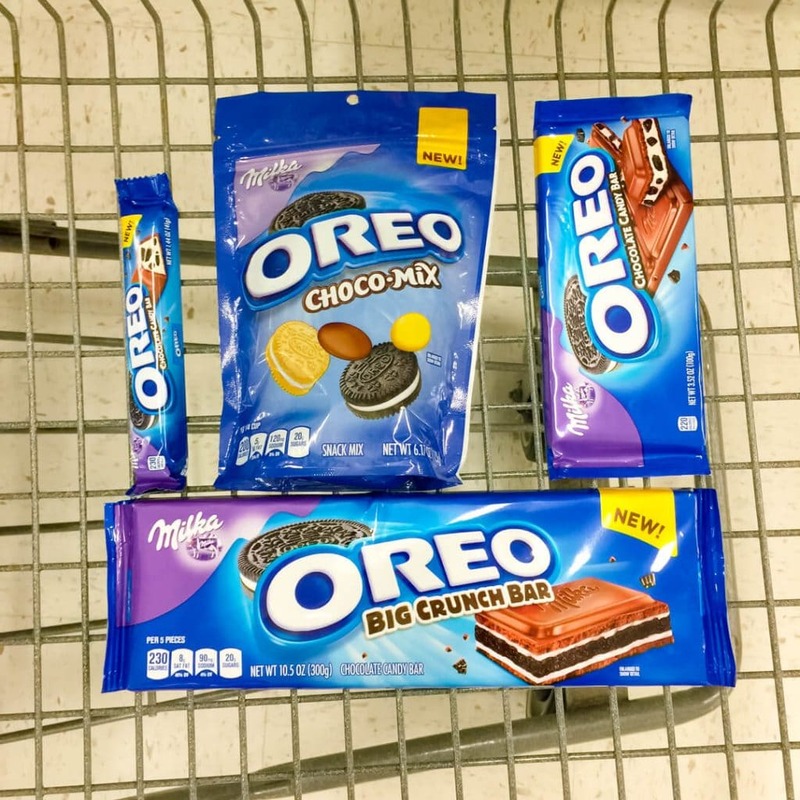 The larger 3.52oz Chocolate Candy Bar (shown at the top right of the picture above), MILKA OREO Big Crunch Bar 10.5oz (shown at the bottom of the picture above), and MILKA OREO Choco-Mix (shown in the middle of the picture above) are often found in the candy isle! I will be giving away five Walmart gift card valued at $25 each! YAY!!! 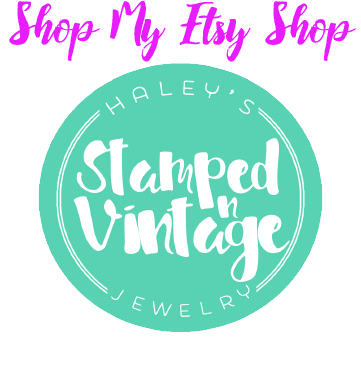 Tag me in your photo on either Twitter @haleysvintage, Facebook @haleysvintage, or Instagram @haleysvintage. 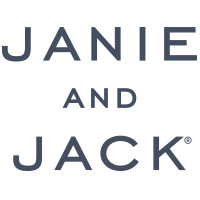 Tip: Make sure your post is open to the public so I can see your entry! Rules: Giveaway starts 5/16/2017 to 6/1/17 at 12:00 PM EDT. Must be 18 years or older to win and a resident of USA. The prize is for one of the five $25 Walmart gift cards and will be delivered by email within ten business days of the giveaway ending. Winners will be chosen at random using random.org then contacted via direct messages by 6/5/17. You will have 48 hours to claim their prize before I will select another winner. I reserve the right to cancel giveaway at any time. 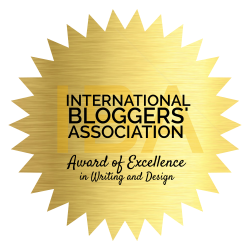 Don’t forget to get and use your Ibotta rebate! 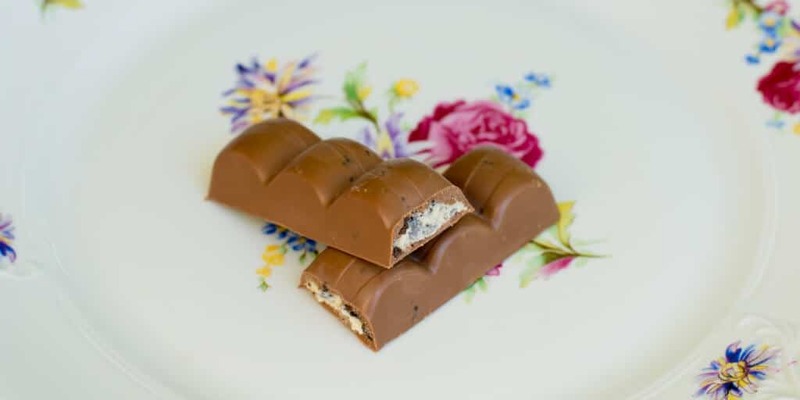 Help spread the word about this great new chocolate bar by pinning or sharing this post!